Like The Herbal Cure on Facebook! The Facebook duppies took down our page a little awhile ago. But we’re back it again and coming in hotter with our new Facebook page. You can give us a like right here, jah feels? We’ll be keeping our new Facebook page up to date with what new products come in, new strain drops, new hash drops, and any and all news related to what our crew is cooking up. And from time to time, we’ll even go live! 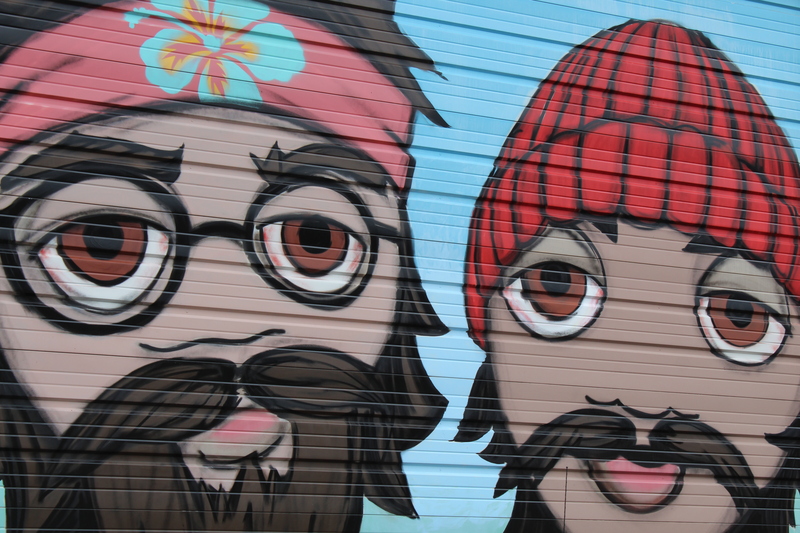 Back in April, we were crowned as Colorado’s inaugural champions of The Grow Off. The competition was based in science, as a laboratory tested plants for terpenes and THC%; yield was the third category. As of 2015, Colorado’s average THC% was reportedly 18.7%. OG varieties typically test north of 20%. They water their plants multiple times a day. The grow rooms are small, 20 light rooms designed to dial in genetics and cultivate boutique cannabis. Smaller rooms allow for less variation throughout the growth process. The Grow-Off strain used an older vented light. The company will be using Gavitas for next year’s grow off. The colas on The Herbal Cure’s plants are some of the largest I’ve ever seen in a grow. They staked (not trellised) the plant. Above all, they gave the plant LOVE. We’re pumped to be participating in the medical Grow Off right now and can’t wait to see how that turns out!!! We registered the business in 2009 and officially opened The Herbal Cure on April 1, 2010. We got our start during the home-grown phase, right before House Bill 1284 passed. Fortunately, we are one of the few mom-and-pop shops that made it through all of the regulation and development of the industry, since it exploded in 2010. Owning and operating The Herbal Cure has been one of the most challenging and rewarding processes we could have ever asked for. What’s the story behind the name of your shop? Before anyone ever thought recreational legalization could possibly happen, or there were any other shops open with the THC acronym, we thought The Herbal Cure was the most clever way to incorporate the famous cannabinoid into a medically-driven business name. We believe that cannabis has more healing properties than anything else found on the planet, and it really is The Herbal Cure for a vast array of our human conditions. 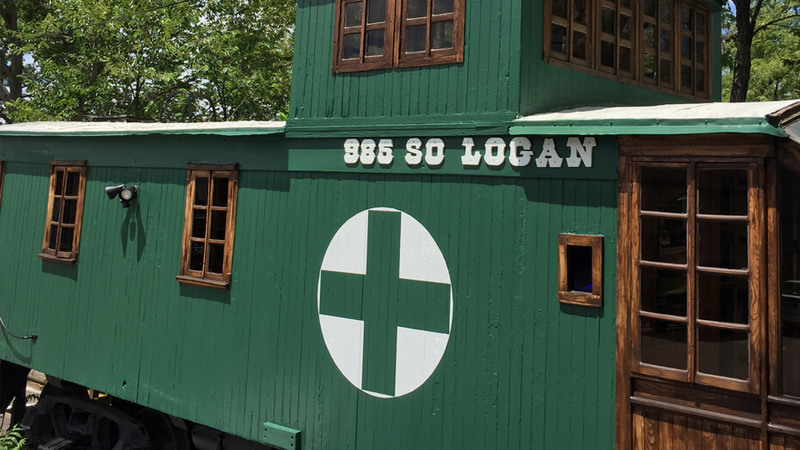 What does your dispensary offer clients that they can’t find anywhere else? What do you specialize in, if anything? The Herbal Cure truly is a one-stop shop, specializing in the largest selection of connoisseur quality bud, concentrates and edibles on the market. We are often told that we have the best selection of products, and we even recently won a Best of Denver Award for best patient perks. The Herbal Cure team truly cares about your satisfaction. We specialize in offering high-quality products, exceptional service and keeping our customers happy! Get your badge, be ready for a wild ride, and learn all you can. This industry is still just beginning to develop on a national level. There will be many changes and obstacles ahead. Just keep learning from your mistakes, do the right thing, and be the best you can be, every day. With a little luck to go along with your passion and hard work, you’ll make it. What is the most important thing you hope to accomplish while in the MJ/MMJ community? We want to set the standard. The Herbal Cure strives to never lower our standards because it’s easier or cheaper to do so. Simply by being successful, we can influence others in the industry to behave in this same manner. Being part of this up-and-coming industry, we are the pioneers of growing, processing and selling this amazing plant. We owe it to this movement to do it in the most responsible and best ways possible. THE University of Technology Jamaica, (UTech) on Monday signed a Memorandum of Understanding with Ganja Labs, USA — a subsidiary of Ganja Inc — to collaborate on research in science, technology and best practices in the cultivation of medicinal marijuana under controlled and secure conditions. The collaboration will involve development of a multimillion-dollar public/private joint venture regarding construction and operation of a specialised laboratory and high-tech indoor and outdoor greenhouse facilities at UTech’s Papine campus for research and experimentation. Through the operation of the facility, the partners will also demonstrate to licensed growers state-of-the-art technology and control regimens for security and compliance for small cultivations of medicinal marijuana. The outcomes of the partnership are expected to be of benefit to the development of the nutraceutical industry in Jamaica and also provide guidance and education to rural small farmers who expect to participate in the emerging medical marijuana industry, under licence. Acting president of UTech, Ambassador Burchell Whiteman, said the partnership is “an opportunity for UTech and Jamaica’s development”. “UTech’s expertise in science and technology and our expertise in medicinal marijuana research will be enhanced by this partnership with Ganja Labs, USA. We are very pleased as this will allow those who produce the raw material for the emerging medicinal marijuana industry to have the best scientific and technological guidance. This will ensure that Jamaica is competitive and has necessary compliant arrangements in place for production and medicinal use, with the necessary quality assurance,” he said. 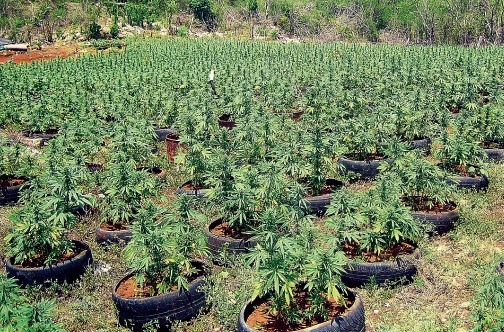 The university is preparing itself to be a major researcher and developer in Jamaica’s medicinal marijuana industry and to play a leading role in the application of science and technology in the development of the raw material for its marijuana research. Dr Claire Sutherland, senior director of international and institutional linkages at UTech, explained that “the collaboration with Ganja Labs, USA, will allow UTech to play a leading role in the development of this new medicinal marijuana industry and to engage with Ganja labs LLC on corporate social responsibility initiatives. “This collaboration will allow us to determine different unique marijuana strains that can be produced in the Jamaican environment, potentially enlarging the internationally recognised brand Jamaica. This partnership will ultimately have a positive influence on the livelihood and knowledge of small rural farmers by making knowledge of international best practices and standards available to them in this emerging legal environment and regulated industry in Jamaica,” she emphasised. “The partnership is also significant to Jamaica on a whole as the government positions the country for participation in the global nutraceutical market for economic growth with jobs. In the area of medicinal marijuana, strategic partnership opportunities are established in distinct areas for potential scientific research and technology investigation. It will also contribute to the learning environment for our students and prepare them for entering the global market,” she added. Meanwhile, Balram Vaswani, chairman of Ganja Labs, USA, explained the concepts and benefits of controlled growing methods, especially for small cultivations which need to adhere to clinical procedures for medicinal research. “We plan to showcase three different growing methods using similar strains and carry out the necessary internal quality assurance during the lifespan of each plant to ensure that the desired chemical characteristics are achieved. This will give a real-life case study that could also be shared with potential licensed farmers/growers so that they can compare growing methods and the associated costs of each. It is very important that we give the knowledge and the tools to the local farmers and grassroots people, so they are able to provide the highest grade products to the marketplace, which will help to build wealth creation for those who take part in this new industry ahead,” he said. The company, through its parent company Ganja Inc, also has extensive expertise in the business, science and technology of regulated cultivation of marijuana for therapeutic purposes in the USA. Production will begin after the necessary permissions and licence to UTech are in place under the anticipated Dangerous Drug (Amendment) Act, 2015, and any other relevant legislation and regulations. This legislation, when enacted, will make legal provisions that will facilitate scientific research on medicinal marijuana by accredited and approved tertiary institutions in Jamaica. Some of the earliest research on marijuana in Jamaica was done at UTech. The institution has been conducting research in several natural products, including indigenous flora and fauna in the Cockpit Country for medicinal uses. The university also offers programmes and conducts research in health sciences, pharmacy, alternative medicine, herbology and rural development planning, among others which will draw on the research to be conducted with Ganja Labs, USA. UTech has several active MOU partnerships in various fields of study with universities and other institutions across the Americas, Europe, Africa, Asia and the Caribbean.